First Do No Harm: NDs follow three principles to ensure their patient’s safety; (1) Use low-risk procedures and healing compounds with few or no side effects; (2) When possible, do not suppress symptoms, which are the body’s efforts to self-heal; (3) Acknowledge and respect the individual’s healing process, using the least force necessary. The Healing Power of Nature: Human bodies have innate ability for self-healing. NDs identify and remove the obstacles to facilitate and encourage this ability. Identify and treat the causes: NDs seek to identify the underlying cause of the illness rather than suppressing or alleviating the symptoms appear on the surface. Treat the Whole Person: Each person has unique physical, mental, emotional, genetic, environmental, and social factors. These factors intertwine and affect our conditions. Therefore, it is essential to have a carefully tailored treatment for each patient. The Physician is a Teacher: Naturopathic medicine believes in the importance of educating patients, thus, NDs must be educators as well as doctors. That is the reason why NDs teach their patients how to nurture themselves physically, emotionally, and spiritually. They also encourage self-responsibility for health. Prevent illness: NDs emphasize the prevention of disease by assessing risk factors, hereditary and susceptibility to disease and make appropriate interventions with their patients to prevent illness. Naturopathic doctors (NDs) are primary care doctors who have attended a four-year professional-level program at accredited institutions, where they have been educated in the same basic sciences as medical doctors (MDs). Entering into an accredited naturopathic medical program requires bachelor’s degree. During their first two yeas of study, the curriculum focuses on basic and clinical sciences (Biochemistry, physiology, histology, anatomy, biology, immunology, pathology, neuroscience, and pharmacology etc). For the final two years of the program, students intern in clinical settings under the supervision of licensed NDs. In addition to the basic medical sciences and conventional diagnostics, students of naturopathic medicine learn virtually all the modalities of proven natural therapies which include: clinical nutrition, botanical medicine, homeopathy, acupuncture and oriental medicine, hydrotherapy, lifestyle counseling, massage, physical medicine. Graduates from naturopathic medical schools must pass the comprehensive naturopathic physicians licensing examinations (NPLEX) to be licensed as primary care doctors. Candidates for full licensure must also satisfy all licensing requirements for the individual state or province in which they plan to practice. The TCM view of how the human body works, the cause of the illness, and how to treat is different from Western Medicine concept. TCM applies the concept of “Qi” and the theory of yin and yang. It is believed that the disharmony of Qi as well as imbalance of yin and yang in the body lead to illness. “Qi” is considered a vital force or energy flows throughout the body via channels or pathways or meridians. Less than optimal amount of Qi or blockage of Qi can contribute to the development of diseases. Yin and yang theory is as important as the concept of Qi. Yin and yang are a pair of complementary forces like day and night, activity and rest, up and down, back and front part of the body. They are opposing forces, yet it is impossible to exist without the other. TCM look at the body based on this yin and yang theory. Balanced yin and yang within a body creates and maintains the healthy state both mentally and physically. Disease is the indication of disharmony between yin and yang of the body. The TCM practitioners use acupuncture, Chinese herbs, moxibustion, cupping, nutrition, massage, and movement exercises like Tai chi or Qi gong. These modalities are all applied based on the concept and the theory discussed above to restore and maintain the optimal health. Japanese acupuncture is one of a few major styles of acupuncture. Its origin stems from Traditional Chinese medicine (TCM). 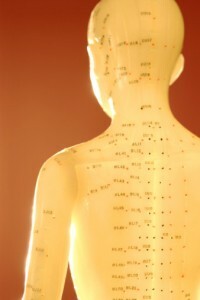 Many of TCM theory is still applied in Japanese acupuncture, however, practitioners in Japan have developed many unique theories and techniques. Japanese acupuncture technique significantly differs from other styles of acupuncture in its delicacy. They often use thinner needles which are barely thicker than a human hair, and the insertion of the needle is also frequently less than 1~2mm. Some practitioners do not insert the needle at all, and that technique is so called “contact needles”. These technique requires far greater precision and care than normal acupuncture. This is a challenge for the practitioners, however, it opens the windows for the patients who are scared of needles as well as sensitive and weak patients who cannot tolerate stronger needle sensations and manipulations. Massage therapy is manual manipulation of soft tissues (muscle, connective tissue, tendons and ligaments) to enhance a person’s health and well-being. It is known to affect the circulation of blood and lymph fluid, reduce muscle tension of flaccidity. Furthermore, it affects the nervous system through stimulation or sedation, and enhance healing of tissues. Relaxation massage (whole body balancing massage) : it is a type of massage that supports your everyday life. It is for relaxation, stress release, and emotional release like anxiety, and also for mild pain and stiff shoulders, neck, and lower back. Rehabilitative massage (integrated massage) : It is a type of massage which supports recovery from your acute or old injuries, to improve performance or prevention of the injury of an athlete, or to help manage your moderate to severe pain. Structural alignment including scoliosis, lordosis, kyphosis, bow legs etc.